There’s no point lamenting what wasn’t there. Instead today was about celebrating what was and Magic Dancer put in the best performance of his career to date to win the Jeju Governor’s Cup at Seoul Racecourse today. Sent of as the odds-on favourite, it was a point-and-steer job for jockey Joe Fujii who kept Magic Dancer just off the shoulder of the early leader before taking over as they rounded the home turn. The pair then accelerated away from the field in the home straight before easing down to a 2.5 lengths win. Chasing them home was Peter Wolsley’s My Winner, a fine performance from a gelding getting better as a 5-year-old. He was the only other one really in the race, with third placed Impetus a full 7 lengths behind. Magic Dancer, a 4-year-old colt from the formidable Kim Young Kwan training machine has long been thought of as one of the best of his year-group, yet today was his first trip to Seoul and his first victory in a Stakes race. His overall record though moves onto 10 wins from 15 starts and, with Indie Band out of the picture, he should play a big role in the big Stakes races to come. As for his jockey, Joe Fujii cemented his reputation as the most popular Japanese man in South Korea. 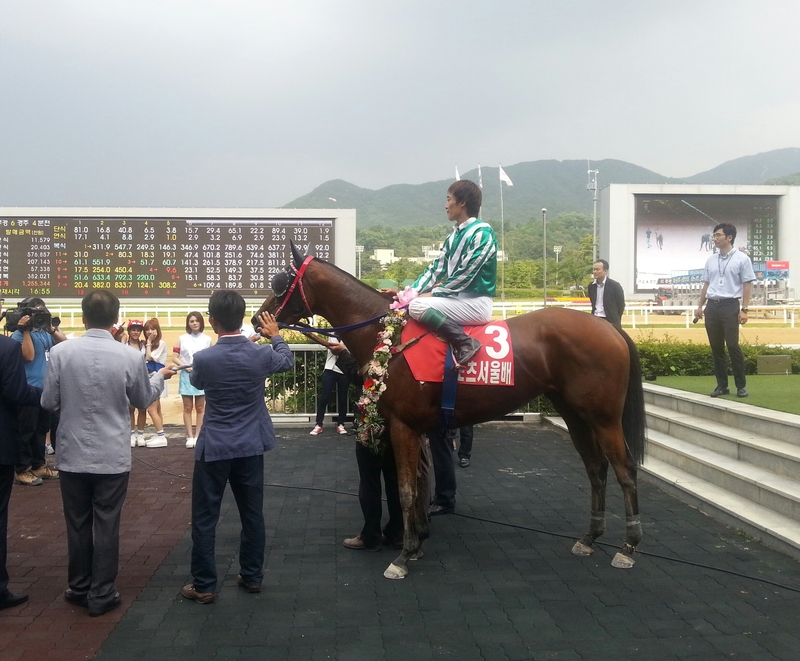 Today was his 5th Korean Group race victory among 6 Stakes wins in all. He didn’t have to do a whole lot today, but as always, he got it done, wife and son joining him in the winner’s circle afterwards. That celebration wasn’t before Fujii and Magic Dancer somehow managed to get lost on the way back to scale after they inexplicably found themselves on the inner track and had to double back all the way to the backstretch to get across and then trot back to a warm reception from punters. 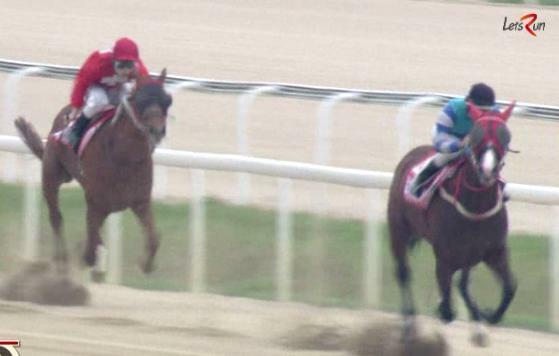 Genuine stars are few and far between in Korean horse racing at the moment. The glory days of a couple of years ago when the likes of Mister Park, Dongbanui Gangja, Tough Win, Dangdae Bulpae, Smarty Moonhak and Yeonseung Daero made each Stakes race one to savour, are gone. The emergence therefore of Indie Band, who stormed to victory first in the President’s Cup and then in the Grand Prix Stakes at the tail end of last year, was warmly welcomed and his return to Seoul to compete for the Jeju Governor’s Cup was hotly anticipated. The news that came through this week that Indie Band had suffered a fracture to his leg that is likely to keep him off the track for a minimum of nine months. Indeed, whether he ever returns must be open to debate. Never a very good worker in the mornings, Indie Band had, by all accounts appeared even more out of sorts on arrival in Seoul last week, with an x-ray on Wednesday confirming the break. Came back into form after an indifferent spell with a 2nd place last time over a mile. Likes to go from the front and should be in contention for a place. Peter Wolsley’s entrant has a definite chance here. Unfashionable jockey should mean generous odds and while his last visit to Seoul didn’t go well, we can expect improvement here. Worth investing in at least a place. A very consistent performer who was in the winner’s circle over this distance last time out in May. Likes to come from off the pace and while he’s not the quickest, he has plenty of stamina and will pick off any tired front-runners. A solid performer although 2000 metres might be at the limits oof his ability. Difficult to recommend to win but is one of a number with the possibility of placing. 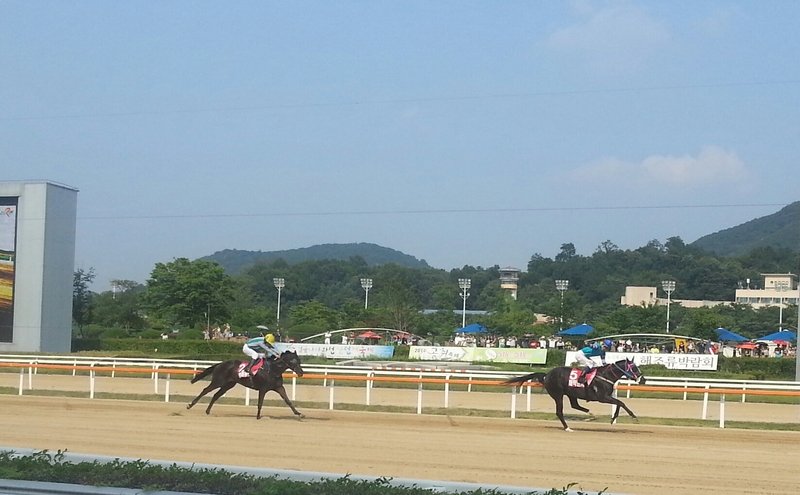 The de-facto favourite was a 7-length winner over this distance at Busan last start. Won from the front that day and will probably try to do so again. Big race jockey on board and difficult to look past. Another consistent sort who is likely to show at the front early. He’ll be an outsider here. Beaten into 4th by Singgereounachim last time out, he’ll benefit from the return of Moon Se Young to the saddle and has strong place hopes. Beaten by Joy Lucky in the Seoul Owners’ Cup last time out, this filly has only run twice all year but if she’s at her best, she will give Magic Dancer a very strong test. Likes to come from just off the pace and she’ll have plenty of support here. A reliable old handicapper, but New And Best will find a few of these far too quick here. Geumbit Hwanhui overcame odds of 27/1 to convincingly win the Sports Seoul Cup – the capital’s primary trial race for the Korean Oaks – at Seoul Racecourse this afternoon. 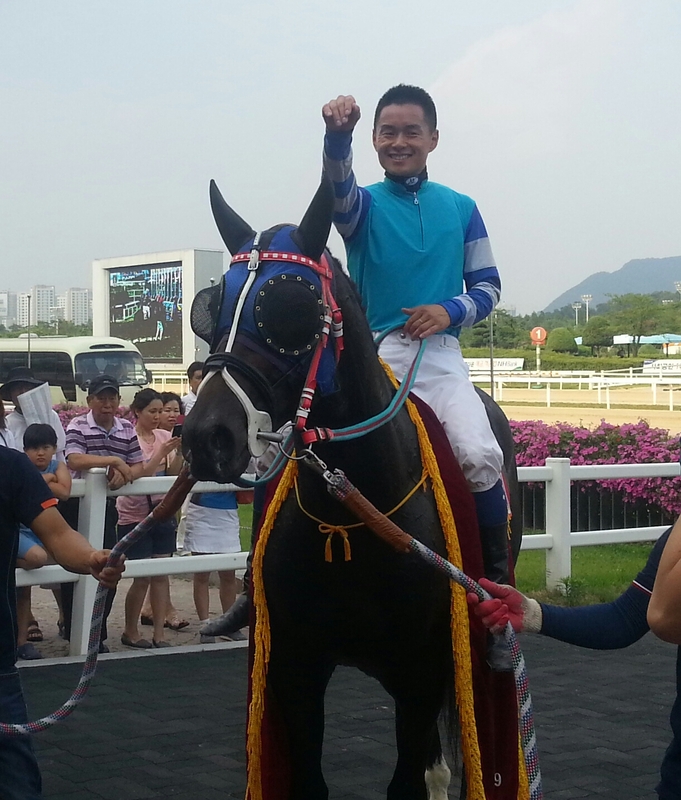 On board Geumbit Hwanhui was Japanese jockey Shinichi Terachi, who was landing his first big race win in Korea. In second place was Clean Up Speed, ridden by another Japanese rider, Ikuyasu Kurakane. Geumbit Hwanhui stalked the leaders throughout before creeping up the rail in the home straight, overcoming long-time pace-setter Clean Up Speed in the final furlong and then stretching away to record a 3-length win. Another outsider, Rhapsody, was 3rd. The time wasn’t a quick one but Geumbit Hwanhui is now likely to take her chance down at Busan for the Korean Oaks this coming August. She’s likely to face a tall order though as Derby winning filly Queen’s Blade will be the heavy favourite. While it was Shinichi Terachi’s turn to get the headlines, Ikuyasu had another successful day too, taking two wins (including one dead-heat). 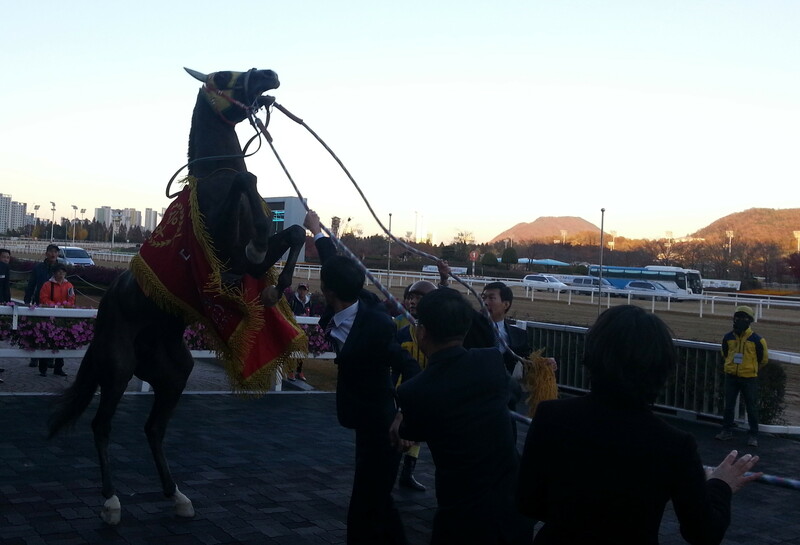 Meanwhile at Busan, Masakazu Tananka was also among the winners. Next week, there is big Stakes race action at Seoul in the shape of the Jeju Governor’s Cup. President’s Cup and Grand Prix Stakes winner Indie Band will be making the trip up from Busan and he’ll be partnered by Darryll Holland for what will be the British jockey’s last ride in Korea for the time being. We’ll have all the build up to the big race later in the week. Two of Seoul’s most talked about horses both scored dismissively easy victories as they tuned up for bigger things to come at Seoul Racecourse on Saturday. 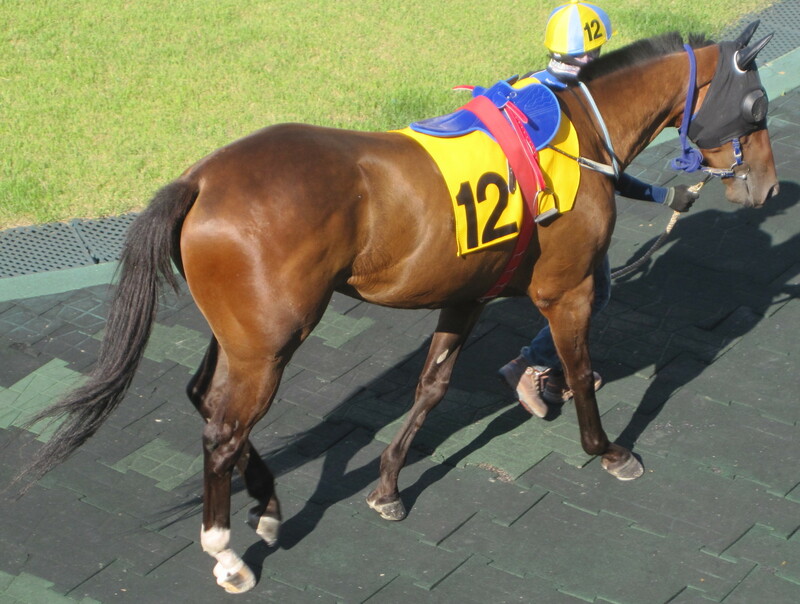 Yeongsan II [Menifee – Foxxy Cleo (Peintre Celebre)] was sold to Malaysia as a 2-year-old but was brought back home last year. Now 4-years-old, he was making his 4th Korean start on Saturday, having won all his previous ones. Sent off at odds of 1/9, he cruised around the track without breaking into a serious gallop, to crush a sub-par field by 10 lengths. Known as “Yeongsan II” because an Australian import in the late 1990’s was also called “Yeongsan”, he’s now just a couple of races away from class 1. Fly Top Queen meanwhile landed her first class 1 victory with a similarly easy win in race 11. Billed as an “Asia Challenge Cup Qualifier” the race was intended as preparation for the International Sprint Invitational race at Seoul at the end of August. Fly Top Queen will most likely be among those representing in Korea in the race which will feature runners from Japan and possibly Singapore. Korea’s most expensive ever racehorse, Fly Top Queen [Henny Hughes – Cape Discovery (Cape Town)] moves on to 6 wins from 8 domestic starts. Anyone who has visited Korean race courses over the past couple of months will have noticed that the KRA has been making subtle hints that we may wish to call the organisation “Let’s Run” from now on. Quite why is anybody’s guess but the rebranding is now almost complete and the pliant local Racing media are dutifully referring to the Racetracks as “Let’s Run Park”. Like it or not – and anything that removes the words “Racing” and “Racecourse” is questionable – it’s here to stay. On to gambling matters and Busan Racecourse – sorry, “Let’s Run Park Busan” – is taking the first tentative steps towards “exotic” betting as it introduces a “Daily Double” from June 27. In Korea, laws literally need to be changed before any new bet type can be introduced so it isn’t going to be operated through a pool but instead through a lottery. Punters will have to choose the winners of the last two races on the card on each Friday. If they get them correct, they win access to a draw to win a guaranteed KW 10 Million. Recently, punters have been leaving the Busan track early on a Friday (due to its dreadful location half in Gimhae and half in Busan and connected to Busan City by only one bridge next to which an awful lot of construction is going on right now) and handle is down on the last two races. Seoul, despite having no transportation issues, is likely to follow suit with this kind of activity soon and with any luck, it could be the first step towards getting regular multiple race betting. Also in gambling news, things are getting easier for English-speaking punters here as the KRA is making full and comprehensive past performance information for all meetings at Seoul available for free download from its website. The move is designed to coincide with the start of regular simulcast broadcasting which starts next week. Finally, the story of the Korea Racing Authority doing right by a track rider taken seriously ill at Busan in April has made the American Bloodhorse magazine. Khayalethu Jeyu, one of 11 South African work riders at the southern track, was rushed to hospital by KRA ambulance after experiencing severe headaches while riding work. Upon hearing of the discovery of several imminently life-threatening tumors, the KRA stepped in and paid for his treatment. Read the full story here. Commendable, the winner of the 2000 Belmont Stakes, has passed away at Stud in Korea after suffering a colic. 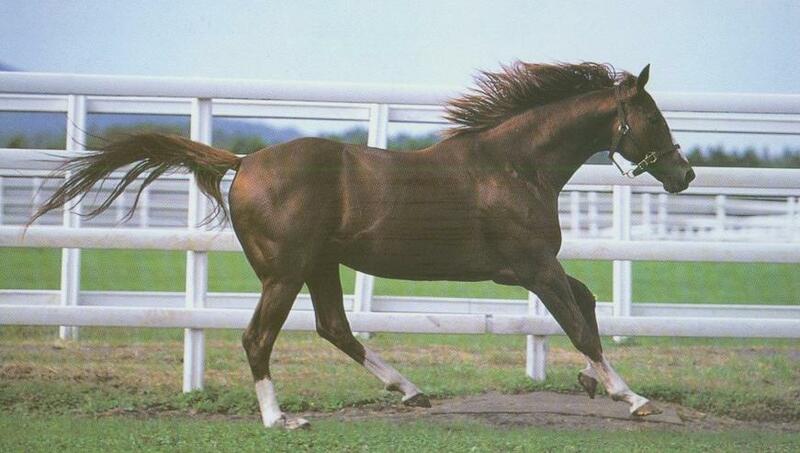 A $575,000 purchase as a yearling, Commendable[Gone West – Bought Twice (In Reality)] won his debut race at Del Mar on August 14, 1999 but despite being identified by his trainer D. Wayne Lukas as being Triple Crown contender, he endured a disappointing start to his 3-year-old career. Commendable managed to get into the Kentucky Derby but finished 17th of 19 under Edgar Prado as Fusaichi Pegasus took the 126th Run For The Roses. Commendable didn’t run in the Preakness a fortnight later where Fusaichi Pegasus was defeated by Red Bullet and without a Triple Crown on the line – and Red Bullet skipping the race too – he returned to take his chance in the Belmont on a hot day in New York City in June 2000. Hitting the front as they turned for home, 18-1 shot Commendable under jockey Pat Day, held off favourite Aptitude to win the final leg of the Triple Crown by just over a length. That Del Mar debut and the Belmont proved to be his only wins in a 12-race career as Commendable was retired after finishing 2nd to Tiznow in the Super Derby at Louisiana Downs in September of 2000. After a short stallion carrer in the US, Commendable was brought to Korea in March 2005. He stood at the KRA’s Jeju Stud Farm until 2011 before moving to the new farm on the mainland at Jangsu. While not a sire of Champions, he consistently got winners and was covering mares up until he fell ill.
A two-year-old colt of his out of the Champion Korean racemare Luna is expected to make his debut later this year. 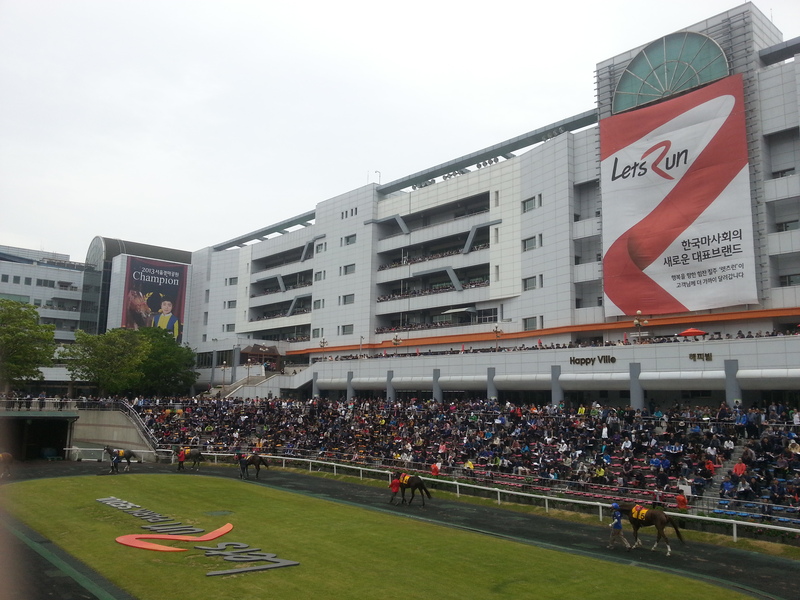 Gamdonguibada, New York Blue and Star Bolt were the quickest out of the gate – Joy Lucky was the slowest. And over the course of a mile nothing changed as Gamdonguibada proved a class apart from the rest, cruising to the 2nd leg of the Queens’ Tour at Busan this afternoon. Sent off the odds-on favourite after her dominant display in the Ttukseom Cup and with Joe Fujii back in the saddle, 2012 Grand Prix Stakes winner Gamdonguibada didn’t for a single stride look like getting beaten. She traded 1st place a couple of times with the young up-and-comer New York Blue but once they were in the home straight, 15 fillies and mares appeared to go backwards while Gamdonguibada strode away from them. The margin on the line was 11 lengths. It could have been 111. Behind her New York Blue stayed on well for second under Masa Tanaka to make it a Japanese jockey 1-2. Star Bolt also stayed on for 3rd, a place ahead of 170/1 outsider Silver Classic. Indian Blue was the best of the visitors from Seoul, picking up the last money spot of 5th on another dismal day for the capital contingent. Joy Lucky, so impressive two weeks ago at Seoul, could manage ni better than 15th in running and eventually finished last. Gamdonguibada moves onto 11 wins from 19 starts, 5 of those wins coming in Stakes races. The Queens’ Tour reconvenes at Busan in October. She is likely to be heavy favourite to add the final leg to her collection too. It’s yet another Stakes win for the remarkable Kim Young Kwan, fresh from training another filly, Queen’s Blade to win the Derby last month. For Joe Fujii meanwhile, it’s a 5th Korean Stakes win and his 128th overall in the country.